Frodo at Amon Hen, by Blossom ~ detail. 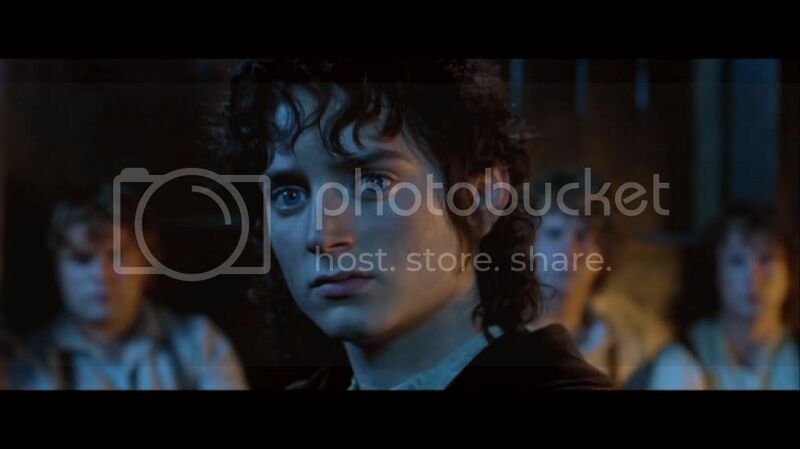 This post’s purpose is to let you know about a very fine Frodo website I discovered the other week. It is the creation of fellow Frodo fan, Blossom. Because it is small, I am wondering if other Frodo fans who visit this journal might have missed it. Rather than just posting a link to Blossom's In Dreams, I’m going to make a little presentation of what the site has to offer. Well, now she does. I found out about it when Blossom mentioned it in a comment here earlier this month. I went to her site, was enchanted, and asked if I could do a presentation on it in my LJ, so that other fans could know about it. In Dreams is a jewel of a site. It is possible to look at everything in a couple of hours, but it’s worth visiting and re-visiting. She invites the viewer in immediately, for this site uses sound, not just visuals. As the simple earth-toned screen appears, Frodo’s face in the middle, the familiar music of the Shire theme rises and warms me up like coals on a hearth. Warmed up, I become weepy as the theme transitions into the site's namesake,“In Dreams”, the song from the end credits of FotR. She has chosen a perfect layout for her presentations. The formatting is clean and simple, the type fonts are elegant yet easy to read. An unobtrusive menu bar at the top or bottom of every page makes the site very easy to navigate. There’s no clutter, no junk, only quality material. The centre of each page is inset with a smaller window in which the text and images appear, accessed by scrolling up or down. The visual simplicity of the layout means that nothing distracts from the viewer’s experience. To wander through In Dreams is like leafing through an illuminated manuscript (with every illumination featuring Frodo). Who wants to rush? 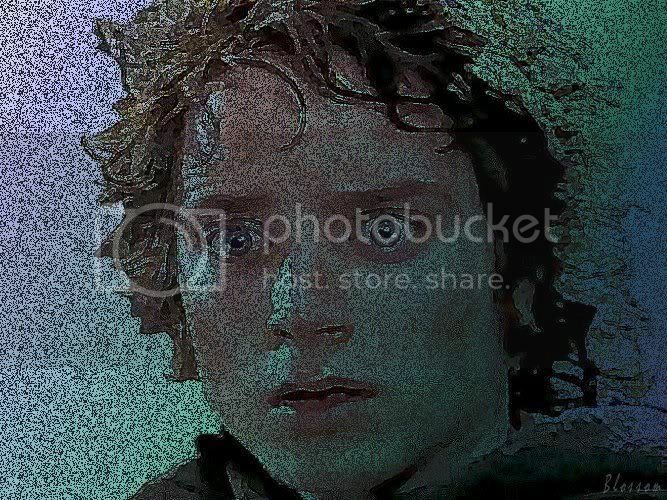 For any fan of Frodo, time devoted to browsing this site is time well-spent. I said it was a small site, but what’s in it is worth lingering over, if only because her music video, Dante’s Prayer is there. And there are sixteen more, all of them good, and some of them truly exceptional. Again, it’s best not to try and zip through them. Watching each one is like revisiting the trilogy, but seen from slightly different angles, according to what Blossom brings out of the material. In a way, what she is doing is like audio-visual fanfic. Canon-based fanfic takes the source material and re-envisions it through the eyes of the fan-artist, perhaps inventing a little here and there (“gap-filling”), but offering the reader a new perspective on a familiar story and its characters. Or that is how fanfic is for me when it works: it deepens my appreciation of what I already love, but also opens me up, emotionally and imaginatively. The fan-artist takes me to old haunts, but directs my attention to places I haven't yet looked, so that I notice things I wouldn't have noticed without her art. Additionally, if you wish you could watch the films more often but don't have time, visiting this site may be just what you’ve needed. 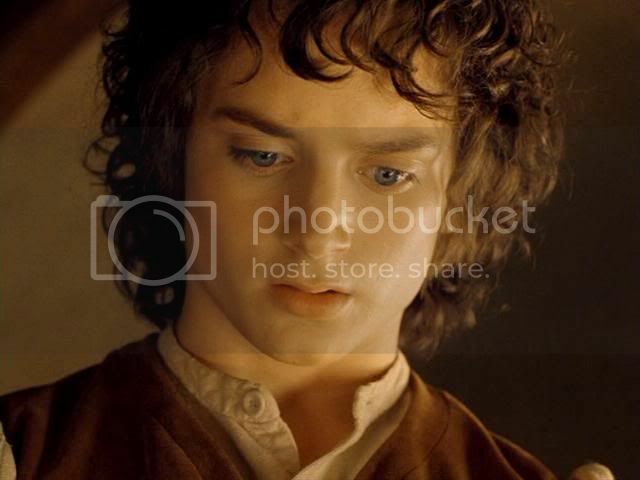 Whether it’s music videos or screencap slideshows (all of which are paired with evocative soundtracks), each presentation—dramatically or more subtly—offers a faithful but different “take” on Frodo’s story. You might see the same sequences or images used in various pieces—there’s no getting away from the key scenes in Frodo’s story line—but they are always used differently. Blossom can use the same material to create an array of moods and sensibilities. Besides the music videos and the slideshows, Blossom’s got a gallery of photo-shopped images, wallpapers, short gif animations, a collection of review excerpts praising Elijah Wood's performance as Frodo, a small but lovely collection of photographs of Shire-like landscapes (Blossom lives in England), a page of recommended links—and all beautifully organized. For Blossom’s website, In Dreams, click HERE. Note #3: As "In Dreams" is a work-in-progress, I plan to post an announcement whenever Blossom updates the site. Note #4: People are saying they are getting a notice to come back later when they try to open "In Dreams". There doesn't seem to be enough bandwidth for very many people to access it at once. Perhaps that is because Blossom's site is hosted by a free provider. Anyway, do try again later; it's worth it. And if you download the things you like, you can look at them anytime. These are Blossom’s most ambitious projects, of which there are a whopping seventeen, all keepers. She very nicely provides links for downloading most of them. If you can save them to your own computer, you'll get more viewing pleasure. Blossom's video files are larger than what YouTube and etc. can host without compressing them. Viewed from downloaded computer files, however, the videos are larger and have better resolution. With each Music Video entry, Blossom also very nicely provides the lyrics for the song used. If you know the songs already, printed-out lyrics aren’t necessary. But for people like me, who are fairly clueless about popular music, and who often have difficulty understanding what singers are singing, printed-out lyrics are a real boon. Each song's words are important because Blossom chooses her visuals to complement the lyrics. Below is a listing of the pieces. I have included each video's running time, the music featured, and a brief comment. 1. Captured (6:25): A brilliant presentation of the seductive power of the Ring, with eerie, atmospheric music by Bic Runga, from “Birds”. Blossom calls it a “dark” video, and it is, but "dark" as in “darkly beautiful”. I find it mesmerizing. Along with “Dante’s Prayer”, it is my favourite of her videos. 2. Cry (4:22): Music by James Blunt, from “Back to Bedlam”. Blossom wrote of it, “This video features Frodo and Sam. I think the lyrics can be viewed from the perspective of either character, each offering emotional support to the other. I have tried to alternate the images to reflect this.” The words of the song go very well with Blossom’s visuals. 3. Dante’s Prayer (7:43): Music by Loreena McKennitt from “The Book of Secrets”. I *love* this video. From the first note to the last I am spell-bound. With its evocative, hymn-like music, and with its great, well-edited visual choices, I experience this piece as if it were a seven-minute condensation of the three films (from Frodo’s POV). It is so rich, and packs such an emotional wallop for me, I am completely sucked into its world while watching it. It took several viewings for me to notice that she shows the very last shot of Frodo’s smile only *after* the ship has disappeared into the sea of light. She brings him back again to smile his last smile, letting his image dissolve into the radiance. What a subtle but powerful statement. Yeah! "Frodo lives!" 4. Fix You (7:18): For this video, the featured song by Coldplay ("Fix You") from “X and Y” is inset between Howard Shore’s score for the death and mourning of Boromir. I love the way this beautifully elegiac music sets off the visuals Blossom has chosen for the opening and closing of this video. 8. Into the West (8:26): This video not only has “Into the West”, but Billy Boyd singing “Home is Behind” (a brilliant sequence), and Lucie Silvas singing "Forget Me Not" from 'Breathe In'. I love this video, especially the ending. 9. Many Meetings (3:26): Howard Shore’s score for FotR provides the music for this one, adding a different dimension to the behind-the-scenes material, which provides the visuals. The clips from the extras are mostly light, the actors talking or laughing with each other. The Rivendell music, rich in deep emotional connections, adds a profundity to this material that hints at what this experience meant to the actors underneath the horsing around. 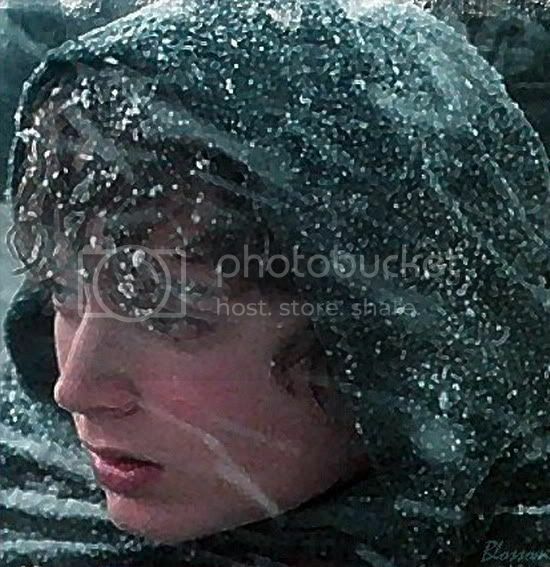 The last sequence, with Elijah Wood doing his final take as Frodo, puts all joking aside. 10. My Heart Will Go On (4:53): From 'Titanic', sung by Celine Dion. Blossom notes that is not a strictly-LotR video. 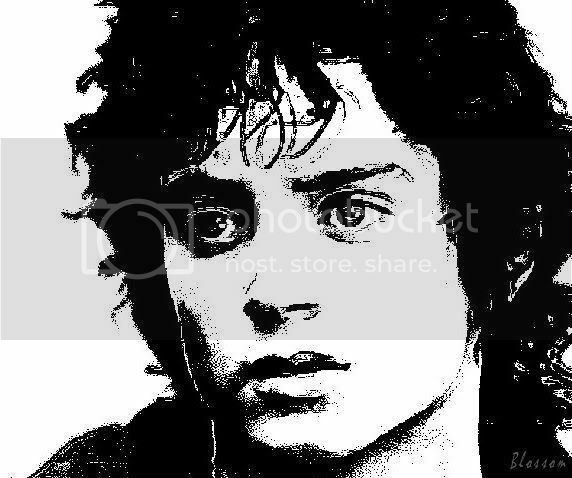 Done at a friend’s request, it is really an Elijah Wood video, featuring a mix of his film characters, LotR behind-the-scenes footage, and shots of Elijah as himself. Blossom has made a really stupendous piece, enough to make a diehard fan of EW out of anyone (including me, and I’m sceptical). In fact, I wish EW could see this. Or, better still, Elijah Wood’s agent: there can’t be anything better for showing EW’s talent and magic, all in under five minutes. This is a great video tribute. 11. Night Minds (3:48): Music by Missy Higgins, from “The Sound of White”. Blossom says in her note that this video is “From Sam's POV, as he watches his friend bear the heavy burden of the Ring. Frodo is slipping away from him, but Sam is determined to share the dark times with his beloved master.” The song's lyrics are well-matched by the clips and images Blossom has chosen. 12. Nobody Knows (3:33): The song (from Journey South) and the visuals play like a love story, and why not? Yes: even after its destruction, Frodo still loves the Ring. 13. 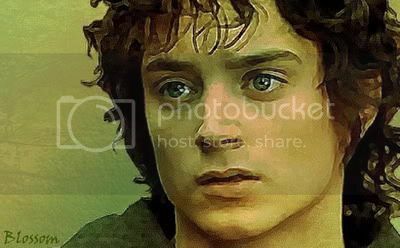 Something More Than This (6:05): Music by October Project, from “Falling Farther In.” I love the song for this one, both the sound of it and the lyrics, which I hear as a sort of unspoken dialogue between Frodo and Sam. The power of the words is amplified by the great choice of images and their editing. 14. The Circle (3:58): Music by Journey South, from “Journey South”. Blossom notes that this one has “a melancholy mood, post-quest. Frodo wanders a strangely empty Bag End alone, thinking of all that has passed and realising that for him, life in the Shire can never be the same.” Watching the video brings me right into Frodo’s experience, so that I, too, feel “on the outside of the circle”. 15. The First Time Ever I Saw Your Face (3:49): Music by Journey South. This is another video featuring LotR behind-the-scenes clips, and images of Elijah Wood in other roles. Watching it, even I, an Elijah Wood fence-sitter (compared to a ‘real’ admirer), feel like a fan-girl. The music has a lot to do with it. “The First Time Ever I Saw Your Face” (written in 1957 for Peggy Seeger) has been one of my all-time favourite songs since I first heard it forty years ago by Peter, Paul and Mary (a 60's folk-singing group). I loved it even more recorded by Roberta Flack a few years later. Every singer who knows a great love song when she or he hears it has done this song, and so has Journey South. While I am watching this video, the combination of the song and the images makes me positively swoon for Mr. Wood. Another great video to send to EW’s agent. 17. Trouble / Twilight & Shadow (6:32): ‘Trouble’ by Coldplay, from “Parachutes”, has great lyrics to go with great material from Shelob’s Lair. The parts of the video set to the RotK soundtrack (‘Twilight and Shadow’, with vocals by Renée Fleming) work especially well for me. These are a new addition to Blossom’s site, short animations capturing individual moments from the films. Blossom has made hundreds of these over the years, from all three films (and from the behind-the-scenes extras, if I recall). She has only begun to upload them to the site, so there will be many more to come. There are fifty FotR Gifs posted so far, complete with instructions for saving them to one’s files. What a resource! Note: Be sure to click open each one before you save, or you'll be saving the thumbnail version. 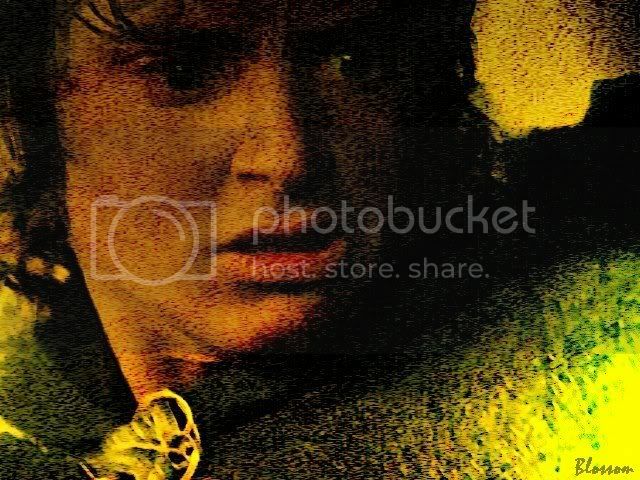 The gallery features fifteen wallpapers made with images of Frodo from the trilogy, evoking a variety of moods, some featuring texts. I especially like the Eagles one from RotK. Whether you want to use them for your wallpaper or not, they are well worth opening up, just to admire. This includes ‘Film-Frodo Reviews’ (positive citations about Elijah Wood’s performances in the three films), ‘Fiction’ (showcasing Zazinka’s exquisite trio of short stories: “The Boat”, “Beyond Hope”, “The Last Letter”), and ‘Tolkien’s Hoarfrost’, with an excerpt from Tolkien’s letter 94 written to his son Christopher, about waking up to hoarfrost in Oxford, December 28, 1944. Christopher was away in the RAF at the time, in training school in South Africa (a climate that did not know such a thing as frost or snow). Blossom, it so happened, experienced hoarfrost sixty-one years and one day later. Her husband took beautiful photos of the event, some of which Blossom posted to illustrate what Tolkien described. 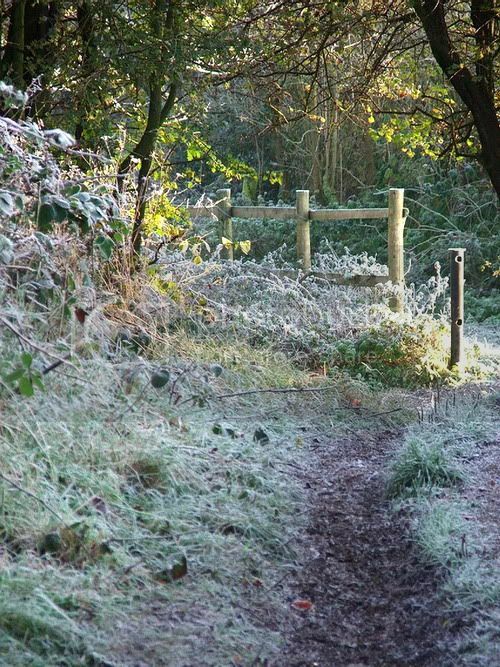 Also included are photos her husband took on a frosty late-November walk in the English countryside. I love these pictures, they look so Shire-ish. Some examples (reduced in size) are posted below. It is misleading to call these creations “slideshows”, conjuring up an image of the uninspired shifting of images from one to another (until they are done). These really are “shows”. Approximately one minute in length, Blossom has made them for several scenes in the trilogy. Each scene has a “screencap slideshow”, which leads the viewer through the key images of the scene, each subtly transitioning to the next, accompanied by the music and dialogue from the scene. Watching them is like enjoying the films in potent sips. She also provides the book text for the scene at the bottom of each entry. For some scenes she also has made an “animated Gif slideshow”. In this version, using a similar but not identical procession of screencap images, she accompanies them with music from the film, with no dialogue. This works very differently—for me, anyway. The absence of the dialogue, with just the music playing, allows my mind to wander, making new associations as the music plays. Usually she uses the music written for the scene, but in a few, like “The Land of Shadow” (from RotK), she pairs her Gif animation with music that comes from another scene. It works very well, I think, bringing out a slightly different range of emotional colours. 1. The One Ring: screencap slideshow of the fireside and tea-making scene, an animated Gif slideshow, the book text, plus a gallery of 54 screencaps*. 2. My Dear Boy: screencap slideshow of the reunion on the Rivendell terrace, an animated Gif slideshow of the scene in Bilbo’s room, the book text, a reflection, and a gallery of 33 screencaps*. 3. A Kingly Gift: screencap slideshow of the EE scene in Moria in which Gandalf tells of the mithril vest, the book text, plus 82 screencaps*. 4. You Can’t Help Me, Sam: screencap slideshow of the EE scene on the Anduin, plus 92 screencaps*. 5. The Argonath: screencap slideshow of the sequence going down the Anduin through the Argonath and the landing at Parth Galen, animated Gif slideshow (includes giving of gifts and kiss by Galadriel), the book text, notes by Blossom, and a gallery of 47 screencaps*. 6. The Land of Shadow: (from RotK) screencap slideshow of Frodo nearly seen by the Eye, Frodo falling, and Sam helping him up, an animated Gif slideshow of the same material but to different music from the score, book texts, and 133 screencaps. As any of you who visit this LJ know, I make screencaps, too. But Blossom’s are another thing entirely. I, too, tweak mine for better lighting, contrast and focus; there is a visible difference between the “raw” screencap and the finished ones I post. But Blossom’s caps have a wonderfully “painterly” look that mine don't. Each one looks like a work of art. Because of the art design for the LotR films, the frames from its scenes already resemble the works of great masters of Western painting. But Blossom’s caps bring out that quality all the more. To show what I mean, below are three set of caps. The first one in each pair is one of mine. The second in each pair is the same cap made by Blossom. As you will see, her program also makes a much bigger screencap. I am not saying I don't like mine, but I think hers are absolutely *stunning*. Besides, except for "The Land of Shadow", I haven't yet capped any of these scenes! I am hoping Blossom will make many, many more. I am so enamoured by the look of Blossom’s screencaps, I wrote and asked her how she achieved it. Very graciously, she sent me an explanation, complete with a series of images to illustrate the steps she goes through to hand-tweak her “raw” screencaps. If you are interested in the technical side of working with images, you'll enjoy this. For the 'normal' screencaps, I adjust the brightness, colour and contrast, if needed. I usually soften the image using the 'edge preserving smooth' option to value 3, then 'sharpen' ~ and I sometimes use 'sharpen more' or 'edge enhance,' but it depends on each individual screencap and the results the various adjustments achieve. 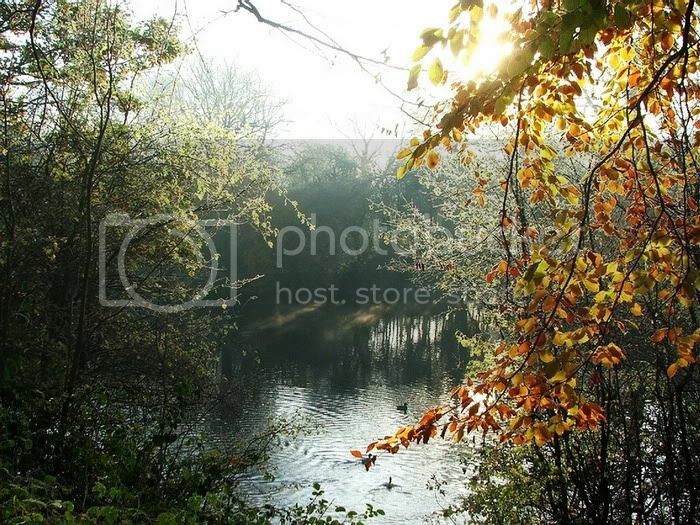 Using the smoothing and sharpening options does tend to give images a fairly subtle brush or 'painting' effect. I find that if I use the actual artistic brushes, such as watercolour or oil, the effect is too strong (even on the lowest settings) and distorts the features. Praise her with great praise! Eglerio! You're welcome, Mews. It's worth the visit. I know everyone's tastes are different, but Blossom's site so cherishes the source material, I don't see how you, a Frodo and Tolkien fan, wouldn't find something to love. Wow! Thanks, Mechtild. I'm looking forward to wandering through her art and vids. Truly beautiful - made by an artiste! She does *such* nice work. She's respectful of the source material, book and film, but doesn't refrain from showing her love, even passion, for them. Thank you for let me know about Blossom'site! What you have shown and your comments are very effective. Tomorrow I will enjoy my Sunday visit to In Dreams. Thank you so much for this truly wonderful recommendation for my website, Mechtild. I hope those readers of your LJ who see this and choose to visit 'In Dreams' enjoy what they find there. They are very welcome. A note to potential visitors: if, when trying to access the website, you see a message telling you 'the site is not available at the moment, try again later' ~ this means that the data transfer has been exceeded. I do apologise in advance if this occurs ~ it's free website hosting at it's most frustrating! Thank you again, Mechtild, for this richly detailed, eloquent review. You are welcome, Blossom, but the praise is deserved. It makes me happy to think this post may mean that your work will be seen by more people, because it should be seen. *I* am the richer for having seen it, that's for sure. As for the technical difficulties you've had with your site, I will say that in all the many times I've opened your site in the past two weeks, I never had any trouble opening it. But if anyone posts back in here about not being able to access your site, I'll tell them what you said. What a magnificent, detailed and generous review. Thank you! I'm off to visit this site right now! I'm sure you will find things there to touch and enchant you, Telstar. Thank you, dear, for this great post. I know exactly what I'll be doing tomorrow ... I'll get lost in dreams I guess. You appear to have exceeded her bandwidth! ;-) I shall bookmark it for later viewing. It looks fabulous! Blossom just told me about that in her comment above. I've never had a problem opening it these last two weeks, but now it's saying "come back later". I didn't know what Blossom was talking about re: the "data-transfer", but now I think it means that only a few people can try to access it at once. Maybe no one was looking at it all those other times when I had no problems. Does that sound right to you, Bunnie? What a lovely site! Thanks a lot for linking to it - even though so far I could only see what you showed us. Can't wait to see the whole of it. Did you have trouble getting on? Blossom has explained to me that since it's a free website, she doesn't have that much bandwidth alloted to her. I had no trouble getting on during the last two weeks, but I may have been the only person who knew about it! Boo hoo hoo! Well, if you ever have access to some computer on a high-speed connection, do look. I don't think you'll be able to get much out of just looking at the pages. Or do you mean you can look at images but just can't play the animations? If so, you'll be able to look at the wallpapers and pictures, and also be able to open the screencap galleries on the slideshow posts. Those shouldn't take quite so long to open. Thanks for this, Mechtild!! Not only is it a lovely site, but I'm glad to know where Blossom might be found!!! And you've done a marvelous presentation, yourself, as usual!! Thanks, Alyon, it's a joy, isn't it? What a delight Blossom’s In Dreams website is. Thank you so much, Mechling, for presenting it to a larger group of Frodo fans. I remember the long wait I had before I could enjoy Dante’s Prayer (Christmas before last) because my Hubby had confiscated the sound card. But just as I had hoped Father Christmas put a new computer, with all the facilities, into the stocking hung by the chimney with care *grin*. I found Blossoms site a few weeks ago, thanks to the comments to your fantastic LJ entry ‘The Cardsharps’ I like to return to your entries to read all the new comments. 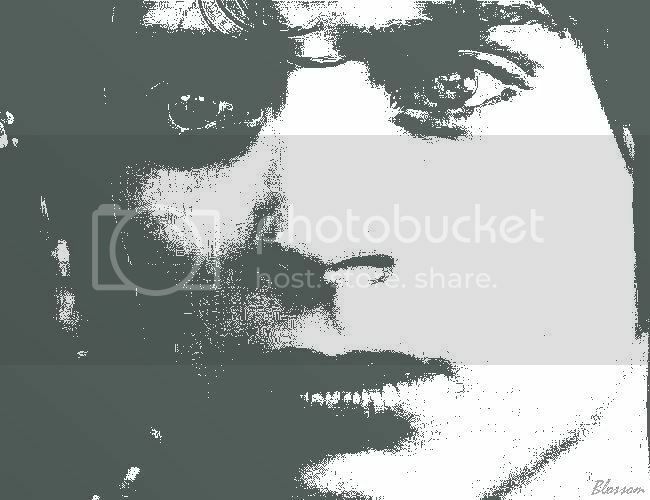 I have been to her website, several times, delighting in the Frodo gorgeousness. I too had no difficulty with downloading at that time. Ooooh, what a great website! I shall return there in a bit but I loved what I saw just now!! Thank you! Oh, you'll find plenty to love, Frodosweetstuff. I'm just happy people are finding it. The little site got a bit swamped for a while yesterday, but I had no trouble at all spending time there last night, browsing some more and downloading images and the little FotR gifs (which I hadn't yet done). Thanks a lot for the link, dear!! I didn't know this site, but now I have bookmarked it so I can have a closer look, it seems great! I'm sure you will find much to hold close (and to download!). If you can't get on try later. 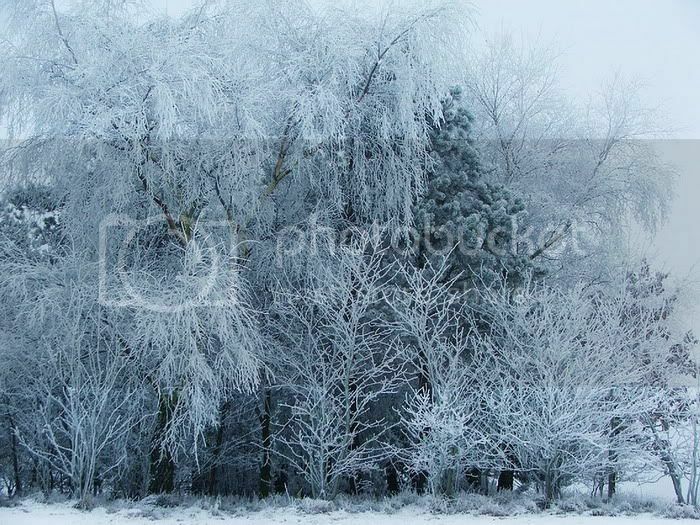 It's on a free hosting site so that only so many people can be looking at it at once. Thanks for commenting, Melyanna! Blossom will see your post here, Aliensouldream. Thanks so much for visiting the site! Your comments go to affirm to Blossom (who's rather modest) what a good site it really is. I was sure more people (than Mechtild) would want to see this lovely audio-visual treasure trove if only they knew about it. There is a place to comment at the site, though, and it would be a treat for Blossom if you would do that (well, it would be if it were me! ), especially since it's relatively newly unveiled. If you are looking at the menu bar on the Welcome Page (click "home" if you are on one of the sub-pages), you'll see there is are links for "Sign Guestbook" and "View Guestbook". You can make a comment there in the one that says "Sign".